(AINA) -- A deadline given by a Muslim family, with support of most Muslims in the area, to all of the Christian Coptic inhabitants of the town of El-Wasta, 90 kilometers south of Cairo, expired today. The Muslim family had given an ultimatum regarding a Muslim girl who disappeared at the end of February, and threatened violent reprisal if the girl was not returned by today. Fliers were distributed yesterday throughout the town by Muslims, who vowed violence. Muslims visited Coptic businesses and warned them not to open today otherwise they would be torched. Today Copts disregarded this ultimatum and opened their businesses as usual. 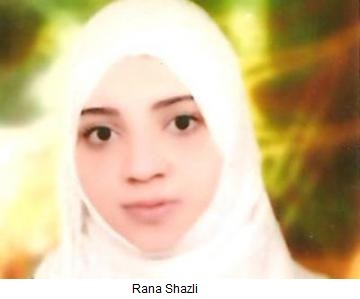 Rana Shazli, a 21-year-old Faculty of Arts student, disappeared from home at the end of February. Her father accused the church of converting her to Christianity, marrying her to Ebram Zaki Andrawes and facilitating their travel abroad. The church has denied any involvement in the affair (AINA 3-22-2013). Copts are currently living in terror, saying they take the ultimatum very seriously and expect the worst tomorrow after Friday prayers. The church and Coptic homes stoned by Muslims demonstrators on March 21 and the priest's car was torched. The demonstrators vowed to torch all churches. Copts were forced to close their shops until a meeting took place on March 25 between Muslims and Christians, which extended the deadline for returning Rana to April 25. Muslims insist that Ebram and his cousin Peter went to the ATM machine of Rana's bank and withdrew 17,000 Egyptian pounds, saying he is shown by the bank's security cameras. Failing to find Ebram, a judge in Beba town court decided two weeks ago to imprison his father Zaki Tawfiq Andrawes, his mother Soraya and his cousin Peter, pending an investigation on charges of incitement to kidnap the Muslim girl, the seizure of funds, assistance to convert her to Christianity, contempt of the Islamic religion, to facilitate their travel to Turkey and hide information on their son Abram. The Facebook page of 'El-Wasta Online' ( https://www.facebook.com/Elwas6a) issued today a call to all Muslims in the area to congregate for Friday prayers in the Al-Tahrir mosque adjacent to St. George's Church. Rana recently sent a new letter to her family in which she denies that she eloped with a young Copt. She affirmed that she is still a Muslim and is married to a Muslim man. Kamal Suleiman, member of the Egyptian Shura Council, presented two days ago an Urgent Request and Discussion signed by more than twenty members about a new outbreak of sectarian strife in Beni Suef. The statement warned of bloody events in city of El-Wasta between Christians and Muslims, due to the disappearance of a Muslim girl and rumors about a Copt being responsible for her disappearance. The statement went on to say that the people of El-Wasta forced Coptic families to close their shops for more than a week and then allowed them to resume their activity while giving them a one-month deadline for the missing girl to return, else violence and killings would occur. The Copts, he said, have nothing to do with this case. The statement criticized the inaction of the Security Directorate despite knowing about the gravity of the situation. Hatem el Shazly, Rana's father, accused Father Mattias Fanous of St. Georges Church of being responsible for evangelizing, marriage and disappearance of his daughter and smuggling the couple to Istanbul, pointing out that this information is certain because he found it in his daughter's papers, including the priest's telephone number, Christian prayer and some hymns, as well as mantra and talismans, which mullahs and sheikhs "confirmed were black magic to control the will of the girl." He also told Al Fagr newspaper today that Rana told her sister that she drank a glass of water at church and the priest sprayed water on her face and that she had changed ever since, and is not aware of her actions. Surprisingly the father also said that he received a phone call from his daughter warning him of targeting the church. She said "the Christians have nothing to do with it and beware of touching any Christian," reported al-Fagr He added that his daughter told him she is married to a Muslim named Ahmed, is living in Cairo and she has not left Egypt and will return home after getting her marriage certificate. This evening there were reports of increased security in El-Wasta, around the church and in the streets. "It is no good if they are present and being passive and just stand there watching as they always do," said Coptic activist Wagih Yacoub. "All of Egypt will watch their performance tomorrow after Friday prayers."